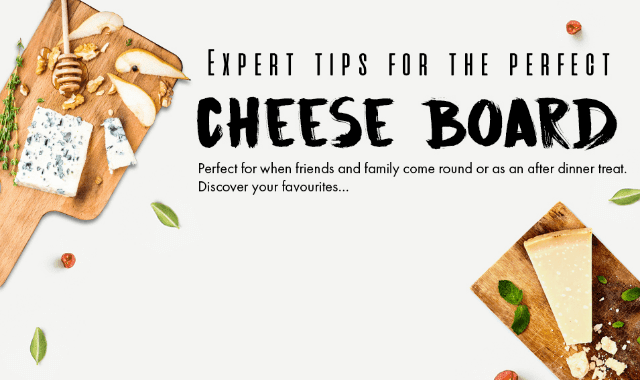 Expert Tips For The Perfect Cheese Board #Infographic ~ Visualistan '+g+"
Britain spends almost £3 million a year on cheese. That’s a lot of cheese. So, it’s no wonder that so many of us enjoy a cheese board before or instead of dessert. But what’s the difference between a cheese board and a cheese platter? Do you need a charcuterie? How should it be served and what with? Crackers? Olives? Bread? So many questions and not enough time to google all the answers? Don’t worry. If you’ve ever wondered how to create the perfect cheese board, you’re in luck. We’ve got a simple guide for you below that will guarantee your cheese board is not only tasty and well balanced, but made to impress too. Grab the crackers!